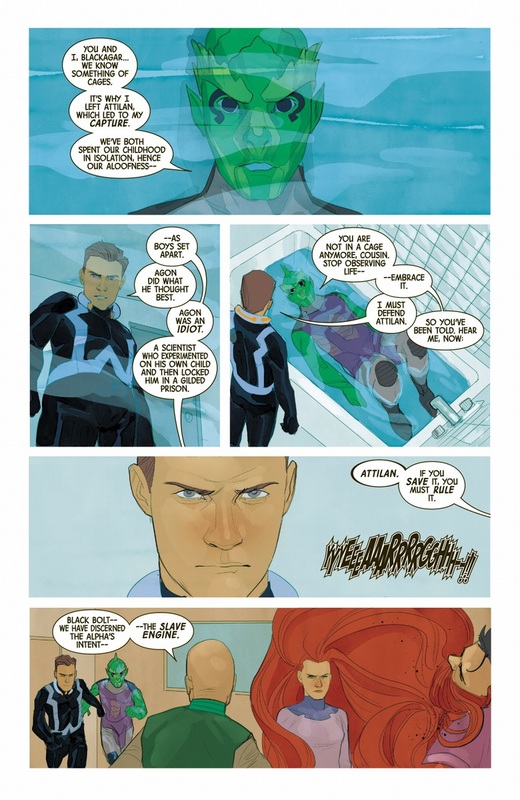 scans_daily | Inhumans: Once & Future Kings #5 - "Emancipation"
In that last panel, apparently the role of Lock Jaw will be played by Jake the Dog. Is this like a flashback? 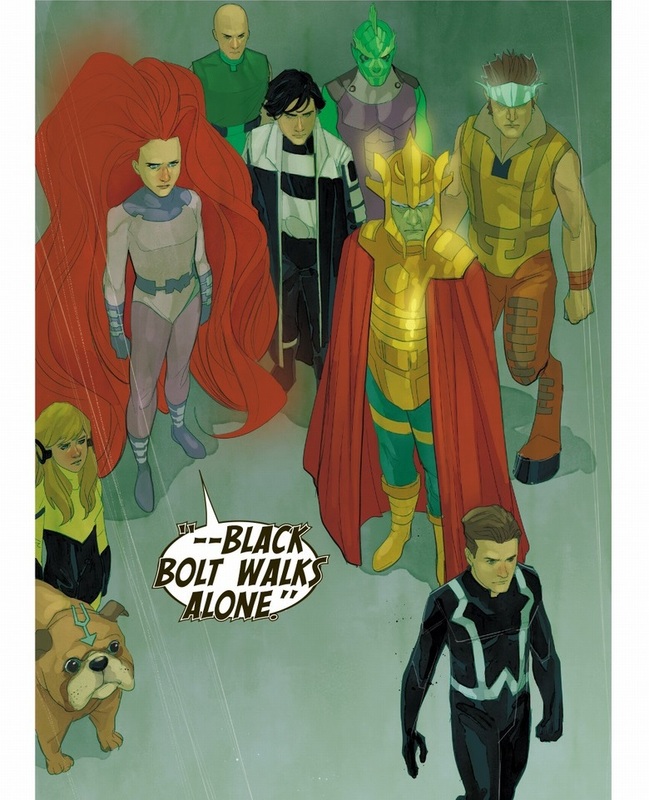 because last I checked Lockjaw is like the size of a card, and all these guys seem young. If so, then Lockjaw Pupper is ADORABLE. Man this is retconning so hard I kinda question if it's going to be canon after all is said and done.
" liberal free thinkers such as the Inhumans"!? 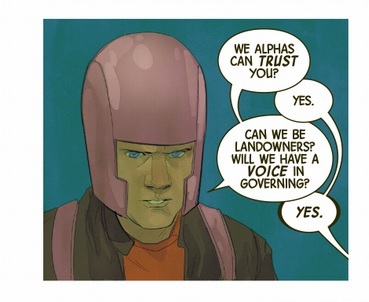 The Inhumans are an absolute monarchy with a slave caste. And they've been known to try to exterminate rival peoples by gassing them to death. They are about as far from liberal as I can imagine. Their eugenics policy designed solely to increase the likelihood of successful Terrigenesis also argues against that claim. Good thing he didn't make that claim then. 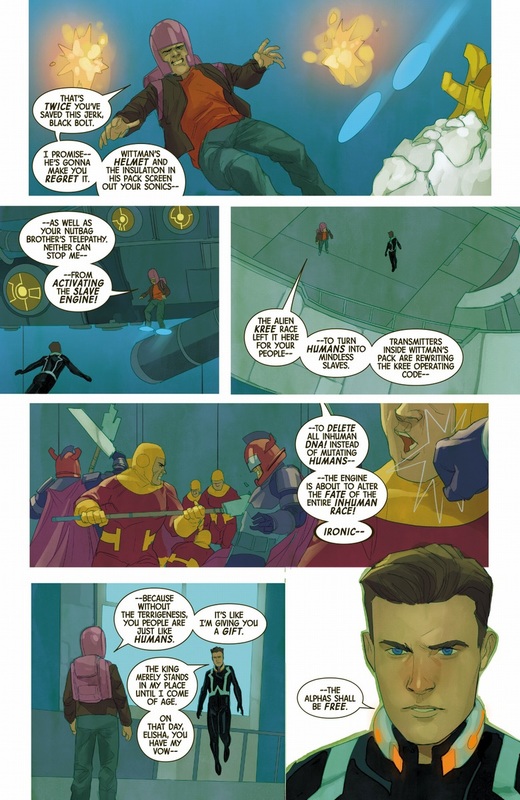 The quote in the paragraph at the top of the page is, line for line, the quote from the page linked to which is an interview with Priest where he says "His character theme is, therefore, about discrimination—especially among liberal free thinkers such as the Inhumans." It is NOT, as you claim elsewhere ""among the liberal free thinkers of the Inhumans"
But the Inhumans see themselves as the ultimate progressives. I think Priest is making a point about how addressing discrimination in a culture that views itself as progressive is a very different beast than addressing discrimination in a culture that doesn't view progressivism as part of its self identity. Blacks face racism from both Liberals and Conservatives, but Liberal racism can look very different from Conservative racism. And the response to having it brought up vary as well. I imagine other minorities have similar experiences. Just throwing this out here, but is it not entirely possible that Priest is being sarcastic there? 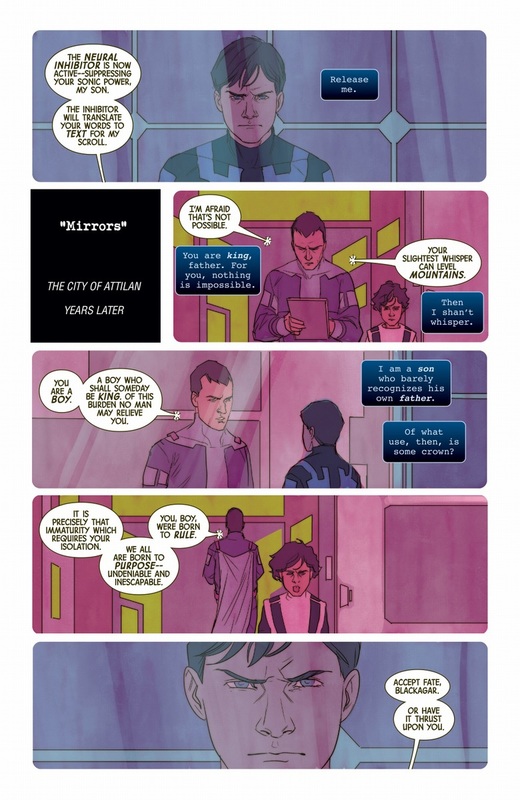 I sure hope so, and I hope he was being sarcastic in the comics, because there are such fine ironic moments like Black Bolt promising Elisha to free alfas (which he would never do/had never done) and so on. It looks beautifully deranged as it is now! Get the quote right, it's "among the liberal free thinkers of the Inhumans". He didn't say they all were free thinkers. 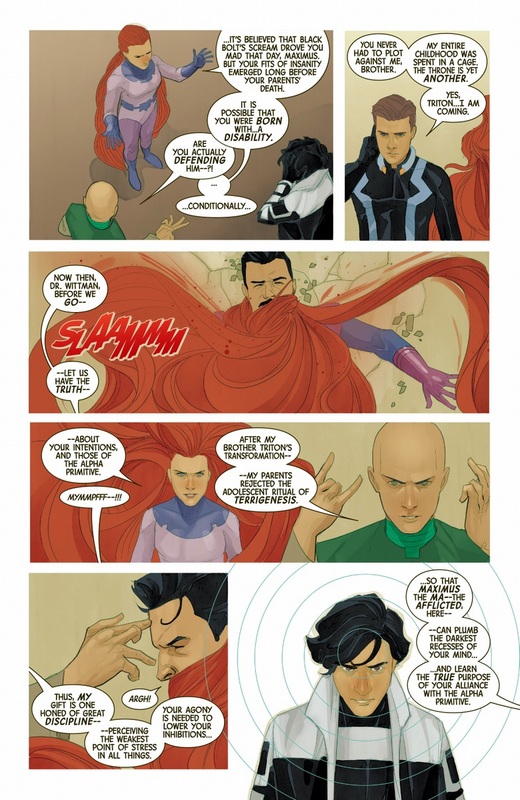 "His character theme is, therefore, about discrimination—especially among liberal free thinkers such as the Inhumans." "Welcome to Christopher Priest's Lovely History, where we refuse to dwell on the unpleasant acts of our protagonists. Now, "historians" will tell you that Blackagar Boltagon and his good-natured girlfriend deposed the previous king, the Unspoken, in a coup over whether to keep the Slave Engine to use on mankind. Stuff and nonsense. What actually happened was a nice, peaceful succession, with some assistance from the gentle Maximus, after which everyone had pie to celebrate. Next week, we'll be looking at Thanos of Titan, how he had a stable relationship with the same woman for decades, and how he made doilies. Bless 'im." You know, I didn't think a flashback to the origins of the Inhuman royal family needed an Alpha Primitive who'd become a street-wise snarker. ... and I still don't, actually. It's jarring, and he is kind of a little obnoxious with just how street-wise and snarky he is. I don't disagree. Like not at all. But I honestly don't know if the main Inhuman cast is commercially viable with their actual histories. I don't think this is meant to supplant that, since Priest has brought up that history in interviews. 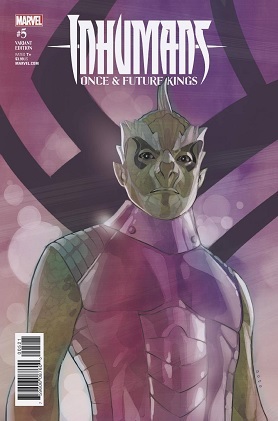 Rather, those events are still in the future for the characters at the point depicted in this mini-series. I think this is meant to depict their journey to that point, how they get there. Priest: 'In the original comics, I found it ironic that The Good King Whose Names Is Unspoken was condemned, primarily, for wanting to destroy a terrible weapon designed to wipe out all of mankind. 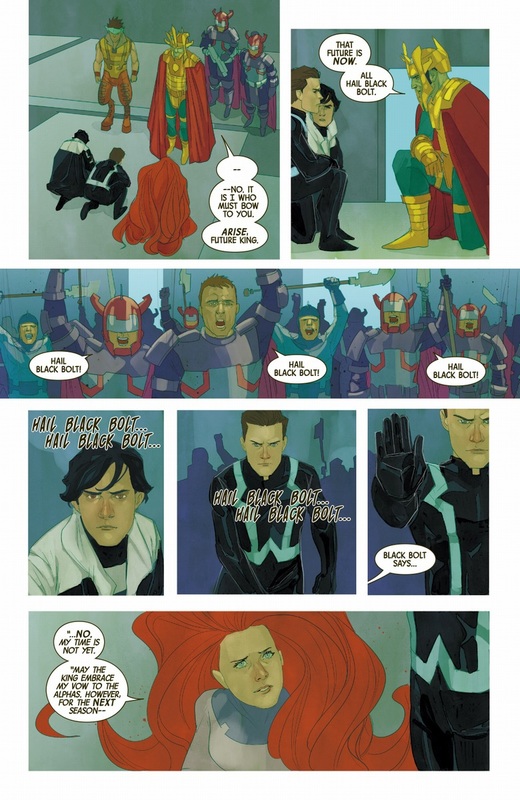 Yes, there were allusions to the Good King becoming The Mad King, but Black Bolt ultimately challenged his monarch because The King had stolen, with intent to destroy, The Slave Engine. Clearly, what liberal post-grads need to do to change the world is to enter into alliances with megalomanical super-scientists, then steal their tech and get to wrecking. Then you need to make an alliance with a supermegalomaniacal businessman, steal his fortune and get to wrecking. It's all the same pattern, just use your degree.